We've been warned many times to never play with our food but some of us don't take this to heart! We've put together some of the most interesting and creative ways chefs and home cooks showcasing their culinary skills... to come up with some of the most delectable and delicious looking cuts to their fruits and vegetables. Don't just stack up on garnishes - make them count amp up the wow factor! Made with Hearts and ... Carrots! 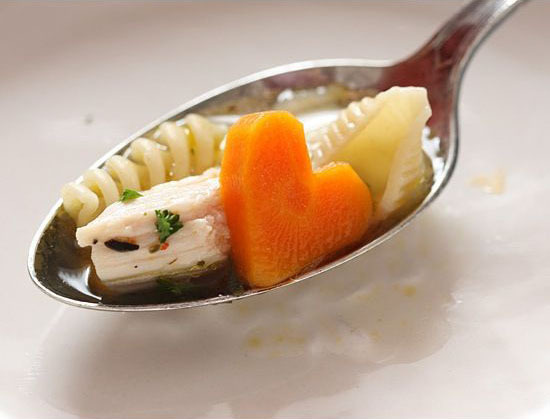 Don't just chop or julienne them, try making them with hearts and kisses - xoxo! Step by step pictorial help is right below. Put that carving skills to work but keep those carrot strips as dipping sticks for appetizers. Chicken and macaroni couldn't look more tempting than this. Surprise 'em with flowers at dinner! 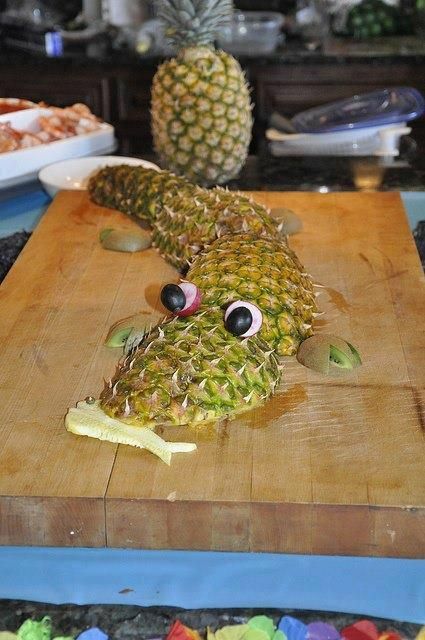 When we saw this - we thought this was a difficult piece of 'art' to make a garnish, then we saw the step by step guide. Looks simple enough? We've counted. 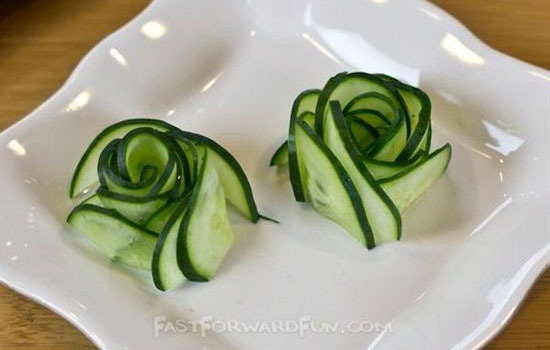 Fourteen (14) cucumber slices to make a nice flower. If The Beatles saw this, they would change their song to Strawberry roses forever! This is really a jaw dropper. It looks so legit. No more running to the florist for Valentines, because strawberries are now on offer at the supermarket! Just kidding... Perfect gift for those who think flowers are a waste because they wilt. 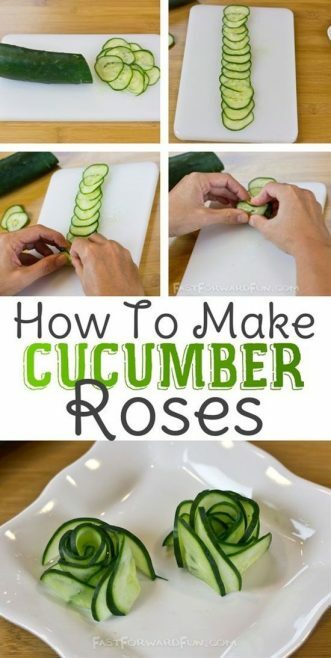 You now have edible flowers! 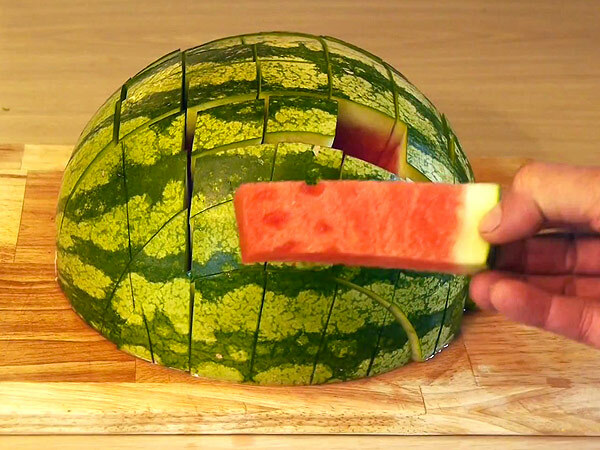 It's funny that we've never thought about this when "attacking" the watermelon! We dice our onions and potatoes and then someone shows us an image of this great idea! 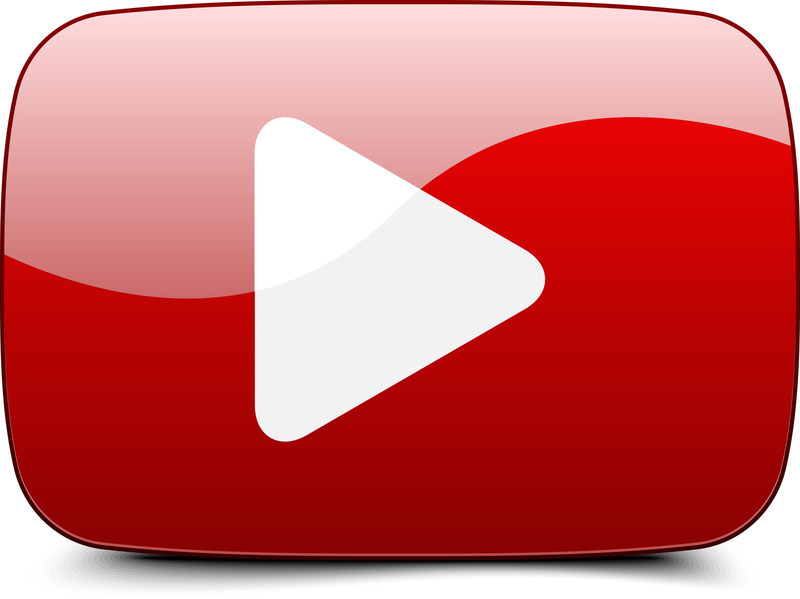 Boom - I'm sure you can't wait to try this out! So here's one more just for you - if you don't already know. A cute idea with simple execution. Get your kids together and make a Safari! 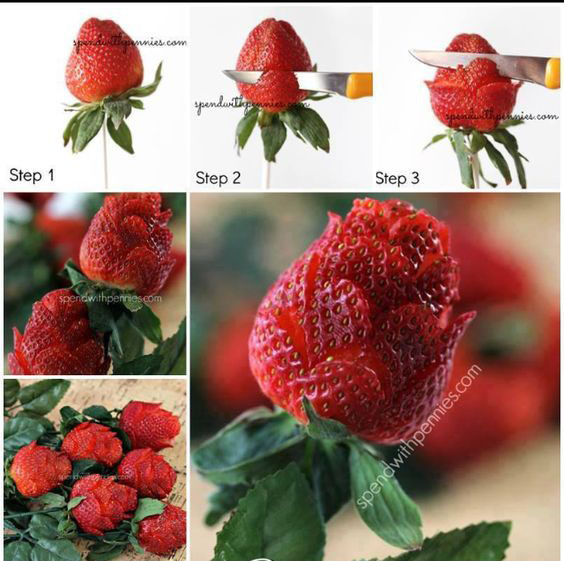 There are tons of innovative ideas out there using fruits to create beautiful edible pieces. 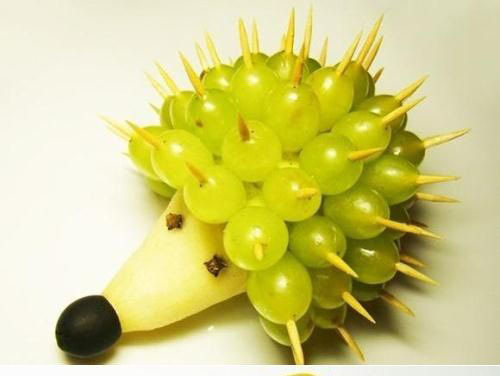 Fruit platters will never be the same. 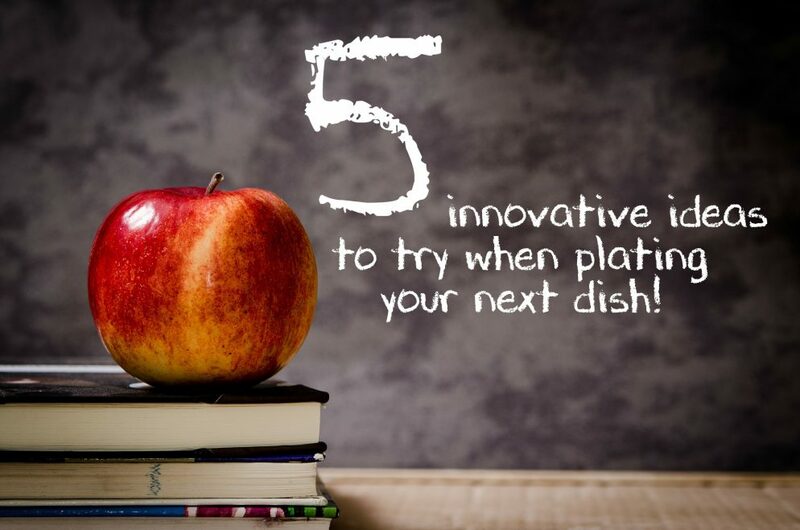 If you thought our top 5 food play ideas were too simple? How about try something like this?